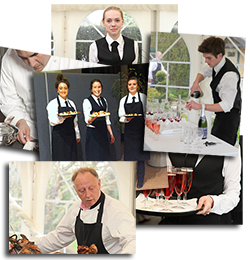 Our Catering team, which comprises experienced chefs as well as a whole team of food and beverage staff including front of house waiters and waitresses, all of whom are in-house trained to ensure that they consistently meet our high standards and provide fantastic food and drink for your event. Nick always knew cooking was in his blood. 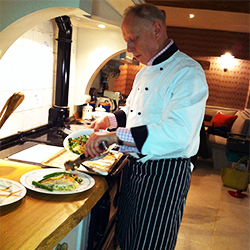 Extensive travel has taken Nick to the four corners of the globe where he has gained a wealth of cooking knowledge and experience. 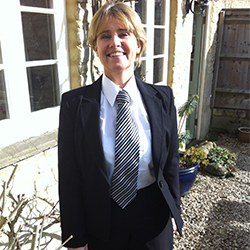 After meeting Caroline they have been a Team for over 30 years setting up in London and then moving back to the Cotswolds where they have built up a business which is supported increasingly by recommendation with many loyal clients who have Nick cooking for them privately as well as for their business, keeping everything in the family! 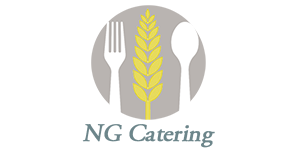 Nick’s style of cooking is fresh, rustic, delicate, he takes time and care and listens to what you would like and delivers the most amazing dishes. He is adept at cooking whether in your home, Marquee, Barn, Hall, or even outside where he is always up for a challenge, nothing seems to faze him even better if there are fast cars to listen to! You will feel relaxed and happy with Caroline at the front of the helm. 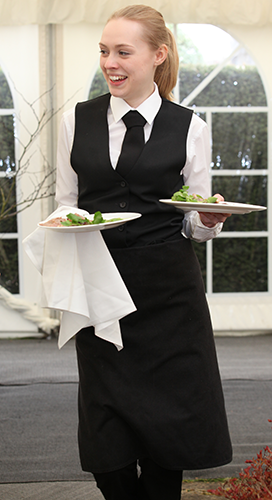 Caroline’s care and attention to detail goes many steps further in making you, your family, your guests or clients the special people that they are. Caroline will come to visit, check out the venue, help you choose what you want for that special menu, organise a tasting and help with any dietary requests. Nothing is too much trouble so you can relax and let her make your event the calm and stress free day it should be! “Everybody remarked how friendly, courteous and helpful all the staff were – and we also noticed how cheerful and smiling you were right up to the end of a very long day”. Many of our lovely Team have been with us for several years and are always, courteous, helpful, smiley, smartly attired wearing distinctive black and white with our chefs appropriately dressed for every occasion! If you are planning a corporate event and would like more information, please fill in the short form below.